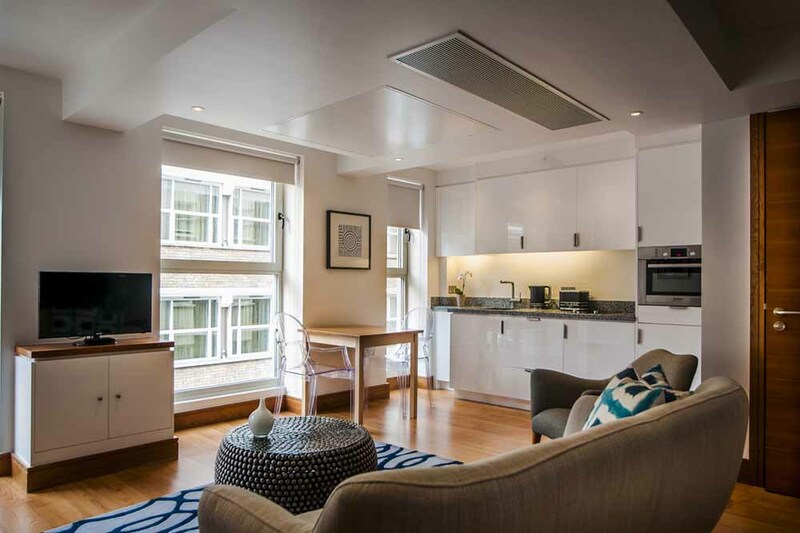 Tower Hill Apartments are located in the Aldgate area of London and within walking..
Tower Hill Apartments are located in the Aldgate area of London and within walking distance of some of the city's most popular attractions. 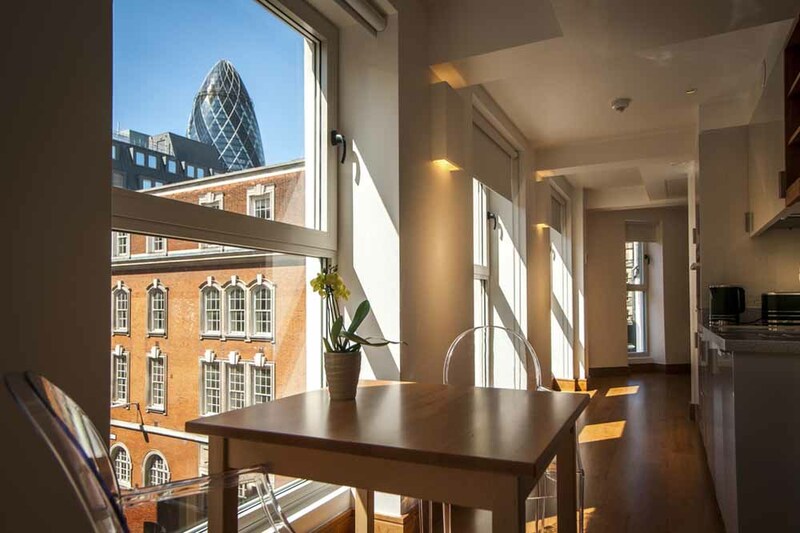 Leadenhall Market, Monument and Tower Bridge are within close proximity while Aldgate tube station (four minutes walk from the apartments) offers access to all parts of the city. A vast array of restaurants, cafes and bars are in the immediate vicinity and several waterside eateries are dotted along the River Thames as well as one of the more hidden gems of London, St. Katherine's Docks. 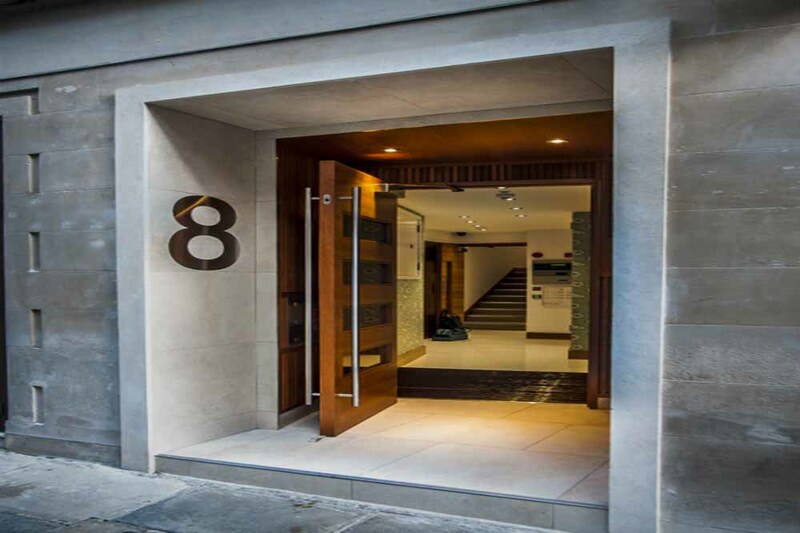 Trendy Shoreditch and vibrant Brick Lane are also located close by. 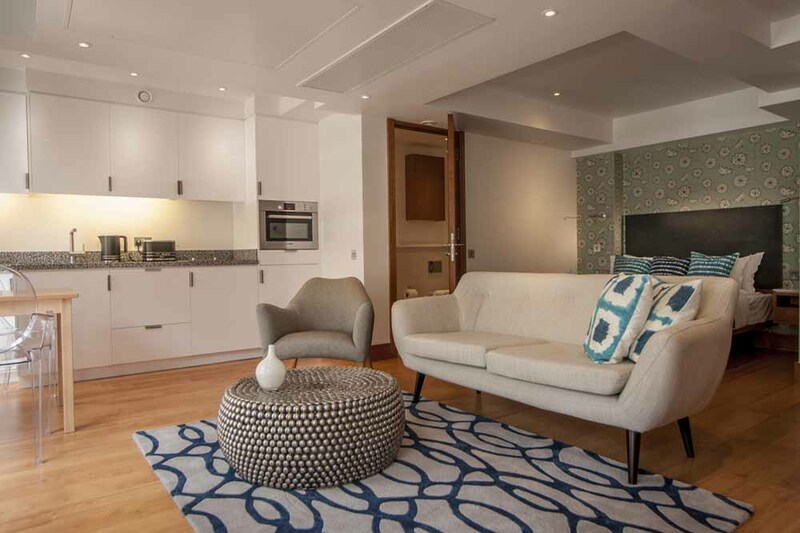 Tower Hill Apartments offer a collection of studio and open plan one bedroom apartments which are ideal for that ultimate city living experience. 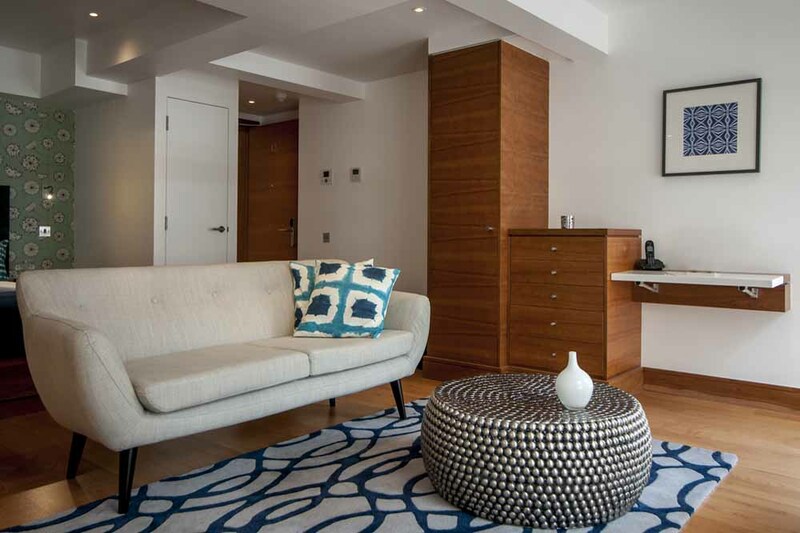 Whether you are here on holiday or for a business trip, these London serviced apartments have everything you need for a pleasant stay in the capital. 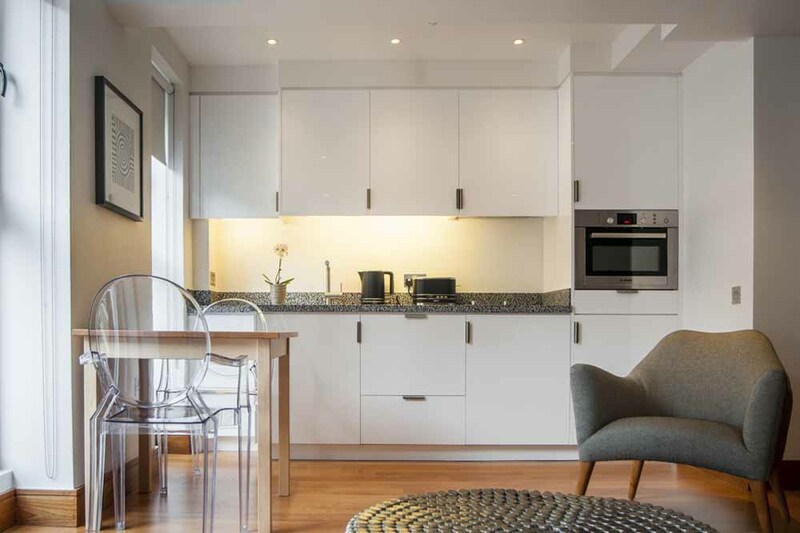 Floor to ceiling windows and even balconies (in some apartments) offer some stunning views of London while fully fitted kitchens allow you to experience life in the city from your very own home away from home. 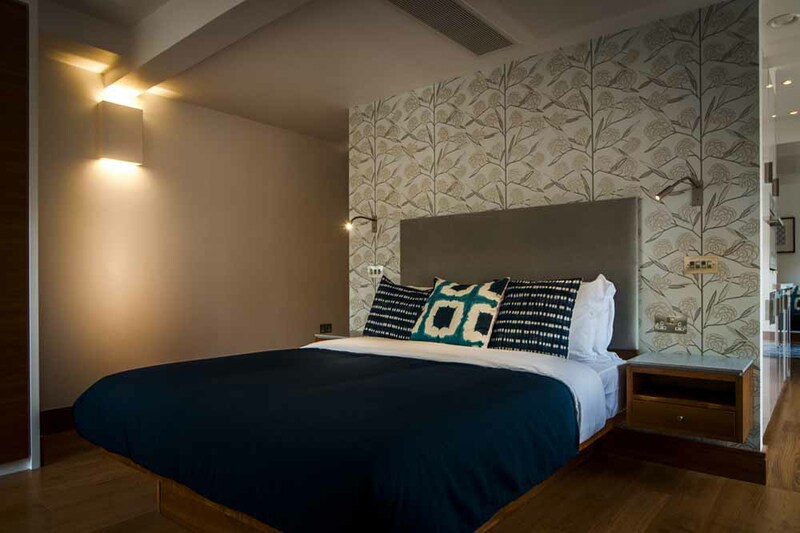 The open plan one bedroom apartments boast a central pod that separates the sleeping area from the living area while the studio apartments have a combined living and sleeping area. 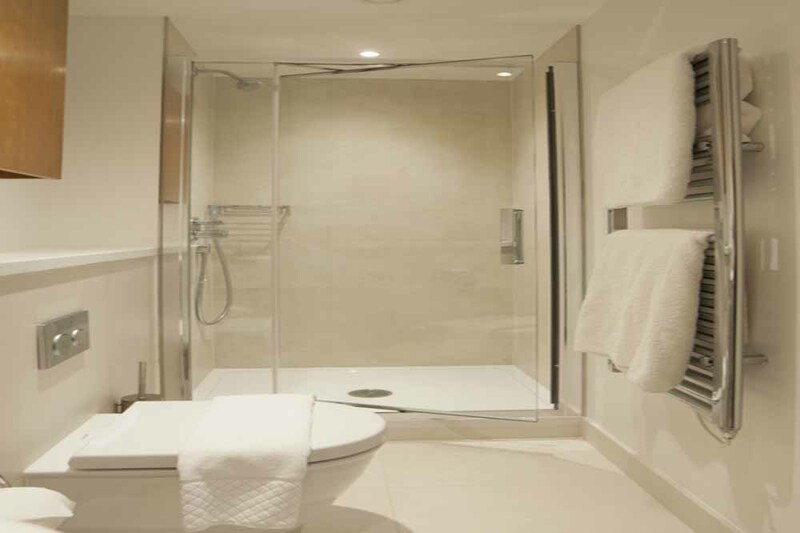 Weekly housekeeping, air conditioning and free wireless internet make this a far superior option for any type of short stay in London. Sleeps two but can accommodate up to three people with an extra bed (available on request for an extra charge) sleeping a third person. 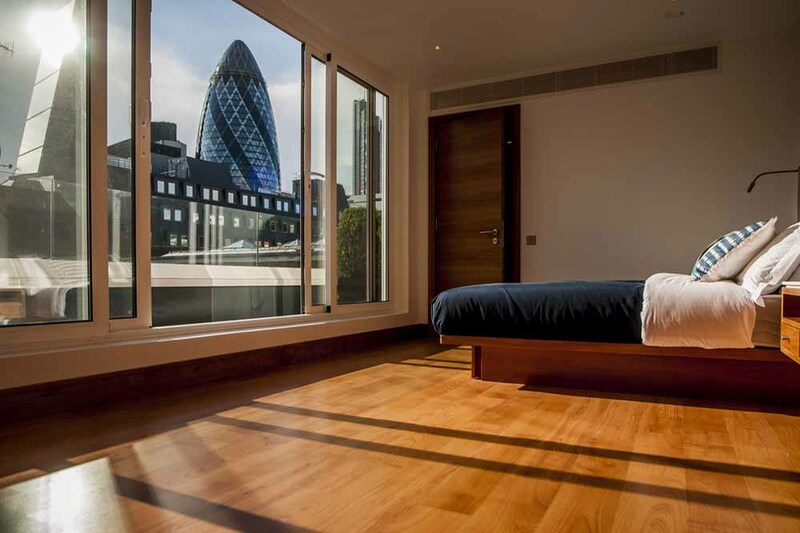 This apartment has an open plan living and sleeping area, a double bed, a modern bathroom and a fully fitted kitchen. 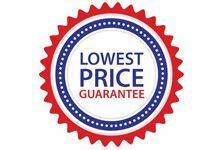 Sleeps two but can accommodate up to three people with an extra bed (available on request for an extra charge) sleeping a third person. 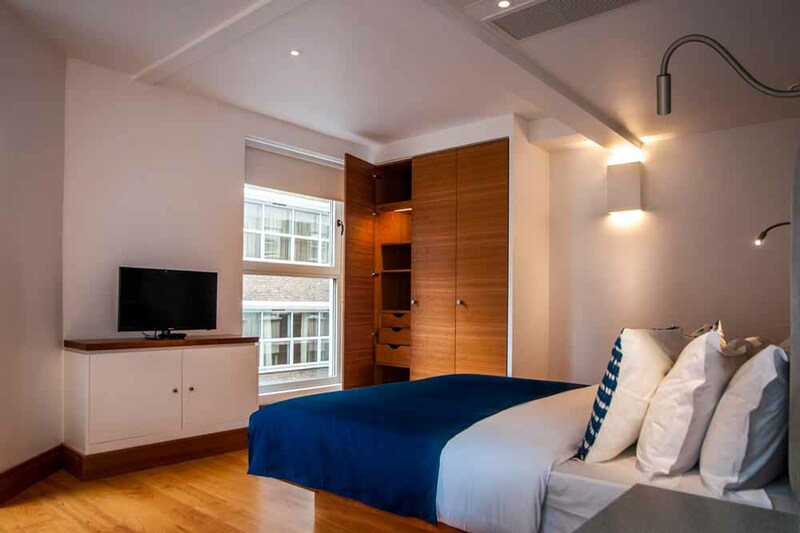 This apartment has an open plan living and sleeping area, a double bed, a modern bathroom and a fully fitted kitchen. These apartments have access to a terrace. Smoking No smoking. There is a £250.00 (+ VAT) fine for smoking in the apartments.